Dawoud Bey takes us through his forty-year career in photography working on ambitious and resonant projects that focus on race, diversity, and youth in America. Award-winning photographer Dawoud Bey talks through his forty-year career in photography. We cover major bodies of work: "Harlem, U.S.A.", his Type 55 Polaroid street portraits, his 20 × 24 Polaroid works, "Class Pictures", and "The Birmingham Project," delving into his photographic process and the thoughtfulness he brings to his form and artistic practice. 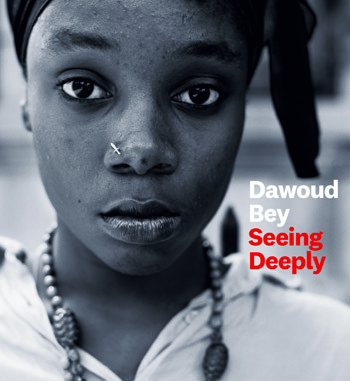 Dawoud share the personal connections that Sarah Lewis, Leigh Raiford, and Maurice Berger have to the photographs in the book, and how his year-long MacArthur Genius Class of 2017 year went. Dawoud Bey's current series is titled, “Night Coming Tenderly, Black,” which features night-time landscapes in Cleveland that reflect the city’s pre-Civil War history as a site of the Underground Railroad.